In the 50s, Morton Feldman was Philip Guston's closest friend. But their friendship ended in 1970 when Feldman disapproved of Guston's new cartoonish figurative "bad" paintings. 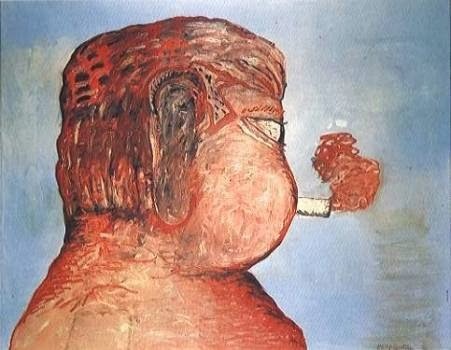 Apparently Guston regretted the rift, which is why he painted Friend--to M.F. Perhaps Feldman similarly regretted the estrangement. In any case, four years after Guston's death, he composed For Philip Guston.